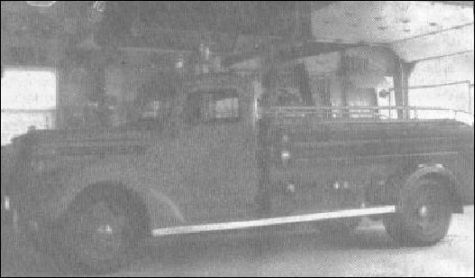 In February of 2007 the Sedro-Woolley Volunteer Fire-fighters Association was contacted by a resident of Whatcom County advising he had ownership of a 1938 Ford fire truck that had originally belonged to the City of Sedro-Woolley Fire Department. Several members of the Fire-fighters Association went to Whatcom County to look at the truck and confirmed the truck had indeed belonged to the City of Sedro-Woolley and was fire truck No.2. The current owner wants to sell truck No. 2 and has given the Fire-fighters Association the first option to acquire it. The purchase price is $5,000. At the February Fire-fighters Association business meeting the members agreed to proceed with the efforts to purchase truck No. 2. The Fire-fighters Association would like to purchase truck No. 2 and be able to fully restore it and our other fire truck, a 1929 Seagraves, the first City of Sedro-Woolley fire truck, currently housed at the city museum. This is where the citizens and business owners of Sedro-Woolley can help the Fire-fighters Association bring truck No. 2 home and help in the restoration efforts of both antique trucks. We are currently seeking donations for the purchase and restoration of the trucks, as well as any historical information or pictures of the trucks. If you would like to help the Fire-fighters Association, please remit donations to the Antique Fire Apparatus Purchase and Restoration Fund, c/o Gerald R. Chandler, 606 Greenstreet Blvd., Sedro-Woolley, WA 98284. If you have any questions or information that would help, please call Gerald Chandler at 360 661-6250 or 360 856-2347 or Captain Josh Carpenter at 360 661-1358 or 360 856-1869. [Ed. note: we are preparing a story for this summer about the history of the Sedro-Woolley Fire Department. We hope that readers will send us copies of any documents or stories they may have about it, scans of any photos, and family memories of volunteers and firemen.